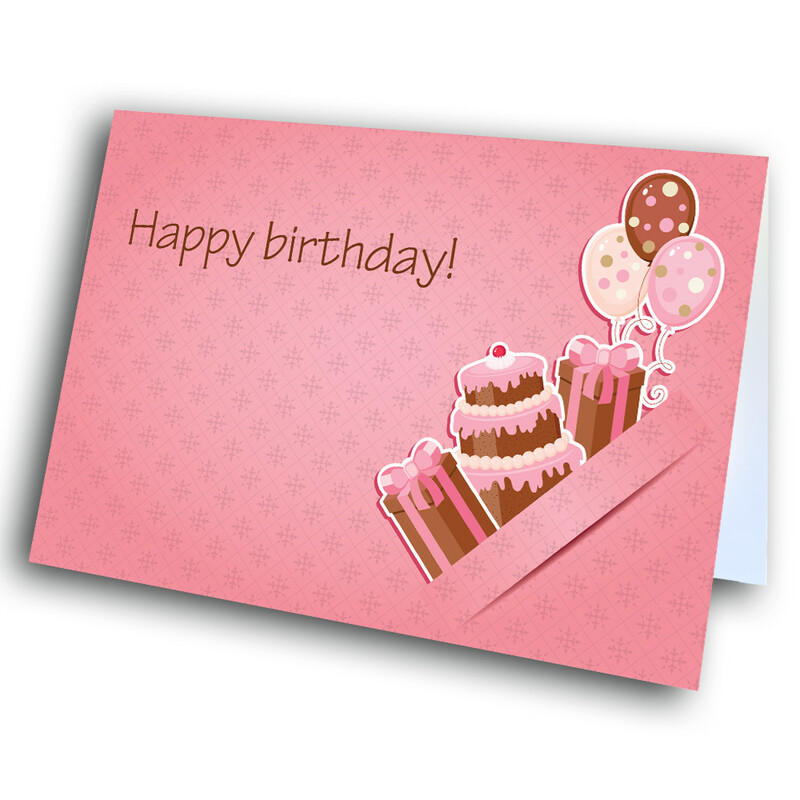 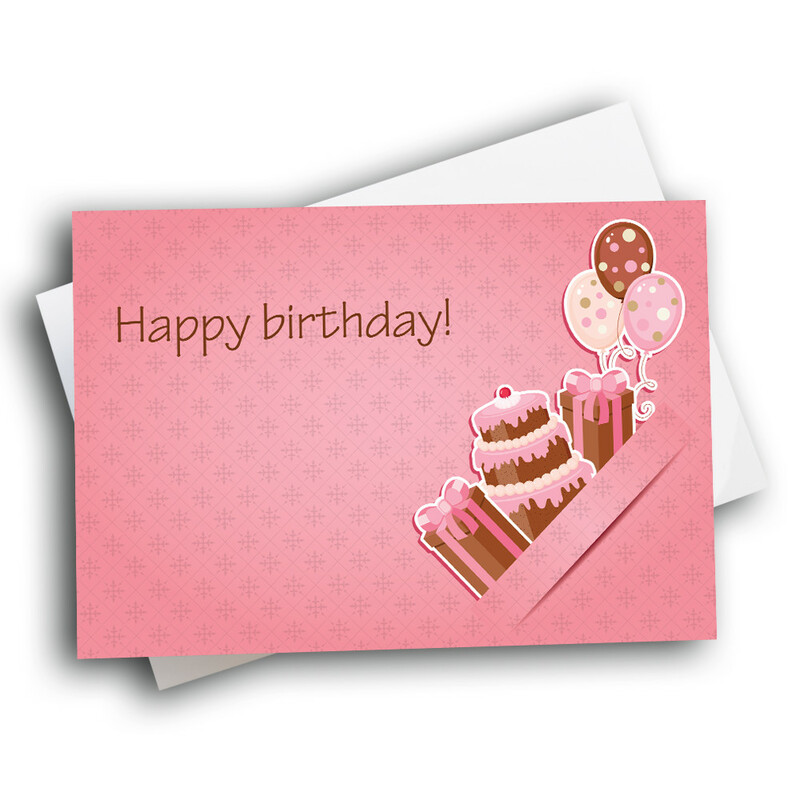 A cute, sweet, pretty pink birthday card, to brighten up a special day. 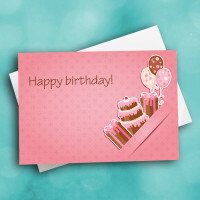 Send some sweet birthday greetings with this unique birthday card. 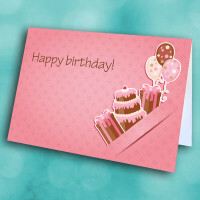 The patterned pink front is decorated with the classic birthday greeting, and a pop-out band of presents, cake and balloons. 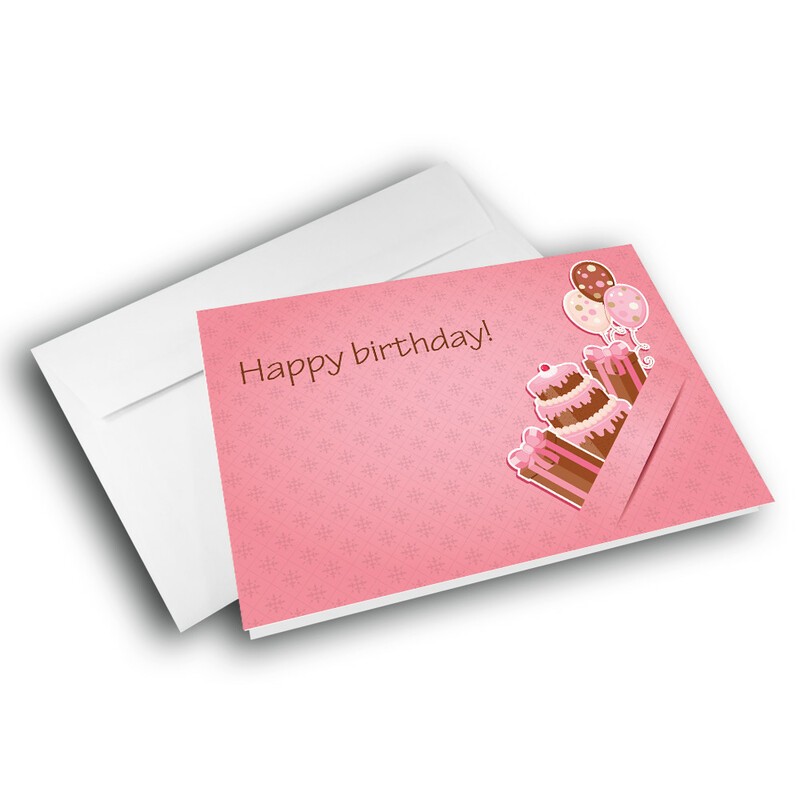 It's a simple but endearing design, sure to bring joy. 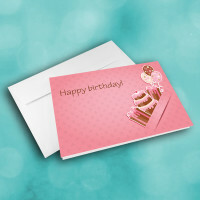 Add a custom message inside to make this a personalized birthday greeting card.